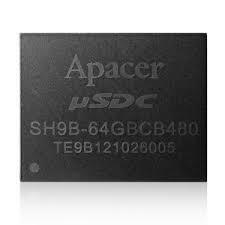 Formed in a size of an IC chip, the speedy μSDC can offer up to 64GB in capacity and the performance level can reach up to 500 MB/s for read and 185 MB/s for write. With its micro-size and ultra speed, the μSDC is definitely the ideal storage solution for high performance demand mobile devices. 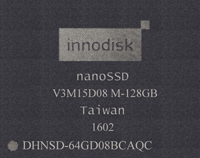 The nanoSSD combines with SATA III Flash controller, making it a great solution for a wide range embedded system, thin PC, automotive device, medical equipment and most industrial applications.